After a long ride, your body will be crying out for a proper recovery and if you don’t treat your tired muscles right, you can end up with some lasting issues. Make sure you follow these steps to ensure you recover efficiently and prevent injury. One of the easiest ways to prevent any post ride injuries is to have a good stretch after you’ve finished your sportive. Stretching is the perfect way relieve the pressure that you’ve put your muscles under during your ride. So once you’ve crossed the finish line and had a drink, sit down and have a good stretch to prevent cramps and further injuries. Here are 5 great stretches for you to try out after a ride. After spending hours in the saddle, you will have burned through a substantial portion of your body’s energy and fluid stores so the best thing to do is replace all that you’ve lost. When you cross the finish line, make sure your first move is to take on some fluids. Whether it’s water or a kind of energy drink, you’ll want something to replenish the water you’ve lost through sweat and some of the salts that you’ve burned through. When it comes to food, you want to try and find the right combination of carbohydrates and proteins to really kickstart the recovery process. 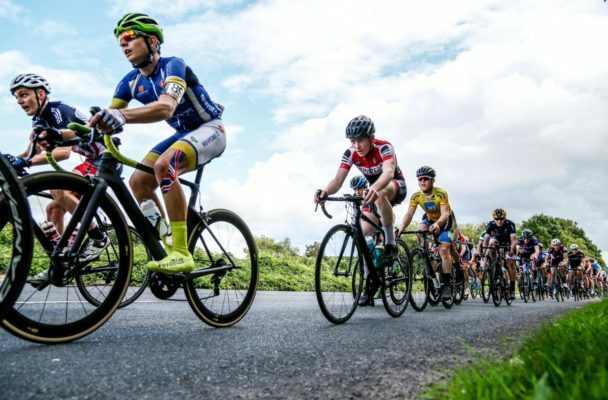 Sportives will often give out some kind of food (burgers, curry, lasagne, etc)which will provide you with the carbs and protein that your muscles need to start to healing. You’ve just spent hours on a bike and have no intention of going cycling for another month? Lucky you, because going for a well-timed and well-judged recovery ride is a great step to take for recovery. Although a day on the sofa may sound tempting, try and go for a short and gentle pootle on the bike to get rid of any leftover lactic acid and to get the blood pumping through your muscles again. It’s always very tempting to book yourself in for a sports massage and you’ve been for a long ride but this is often not practical or affordable. So why not massage yourself? 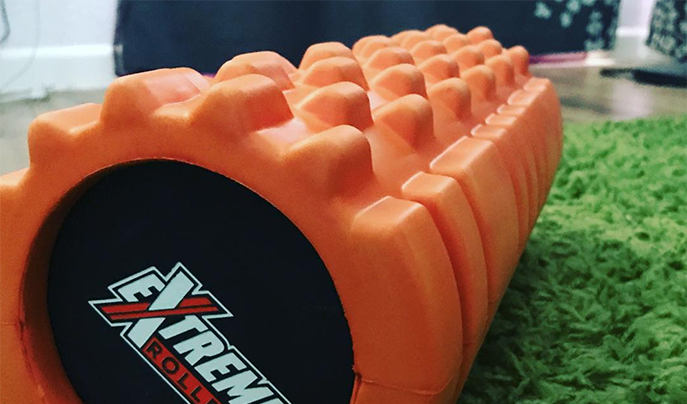 It can be much more cost effective to get yourself a foam roller (below) and a hockey ball to get in deep and massage your major muscle groups to relieve some tension. If this all seems like too much work for you post-ride then just run yourself a nice warm bath instead. Slip into a warm bath and let the warm water sooth and relax your tight and hard-worked muscles. Lot’s of cyclists will add bath salts to help the detoxification of your legs.